Despite being an anti-social person, billionaire businessman and entrepreneur Paul Ndung’u is regarded as one of the most distinguished billionaires in Kenya. His outstanding achievements have shown that his journey to acquiring such massive wealth has been a long time coming. The 52-year-old billionaire received his undergraduate degree from United States International University, Kenya and he has a public asset worth over $422, 367. Paul Ndung’u started his first job at Uchumi Supermarkets as an accounting clerk in 1991, a position he held for two years before joining Pioneer Assurance formerly known as Pioneer General Assurance. That was where he held dual positions as a chief accountant and investment officer and honed his skills as the stock picker. 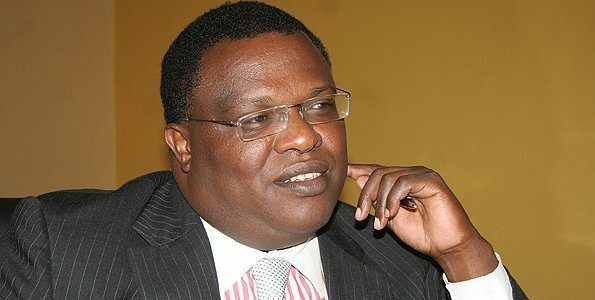 He ranks among the top shareholders in Kenya Airways, Kenya Re, Home Afrika, Crown Paints, Housing Finance, Uchumi Supermarkets, Olympia and has interests in other listed firms. In the 2000s, his portfolio on the NSE at one point peaked at KSh 4 billion. According to Mr Paul Ndung’u, his wealth was acquired through good investment decisions. He added that increased investment in private firms is meant to absorb and grow cash generated from his portfolio of stocks and foreign exchange bureaus. However, Kenya’s move to fully liberalize its foreign exchange market in 1994 prompted Ndung’u to venture out the next year in 1995, starting off as the owner of a start-up forex bureau along Kimathi Street in Nairobi after he had visited Uganda and seen that forex bureaus were making large margins of up to 15 percent on trades. He went on to own two more bureaus, circumventing the Central Bank law that prohibited forex bureaus from opening branches. In 2001, he teamed up with a partner to form Mobicom, a dealer that rode the wave of Safaricom’s success for a decade. With 42 outlets countrywide, Mobicom quickly became one of Kenya’s leading telecommunication firms, providing retail and wholesale scratch cards, phones and other accessories. While at Safaricom, Mr Ndung’u had travelled to a number of countries and realized the growth opportunities in the mobile phone industry, highlighting the cases of Egypt and Uganda which were well ahead of Kenya in mobile telephony at the turn of the century. When the service opened in Kenya, Safaricom was able to penetrate most parts of the country with its services and products thereby increasing its subscriber base and earnings. His biggest money making trades, though have been on the NSE. The trades which elevated him to billionaire status came in the early 2000s. He had been buying and selling shares, booking profits from the transactions at a time when there was no limit on daily share price movements at the NSE. Sometime in 2002, Mr Ndung’u decided to bet big on Kenya Power shares which were trading at KSh 1 per share. He thought it was an undervaluation of the company and he bought a huge chunk of one million shares and a year later, he sold them at KSh 6 each, raking in KSh 6 million. He then combined these proceeds with bank loans to make an even larger leveraged bet on Kenya Airways, buying 16 million shares at around KSh 6 each in 2003. The stock’s price skyrocketed and between 2005 and 2006, Mr Ndung’u started selling at around KSh 120 each. From the start of his investment in Kenya Power, till he took the exit at Kenya Airways, his portfolio rose to KSh 2.1 billion. However, not all of his stock market investments have been as profitable. He was a shareholder at CMC Holdings where boardroom wrangles, corruption, and improper accounting nearly brought down the company. In 2014, he and other investors were bought off for KSh 7.5 billion. Furthermore, Paul Ndung’u has invested in eight private companies. The list of private companies he has founded, acquired or bought into includes a sports betting firm (SportPesa) and G-North & Son and an agricultural and hospitality equipment distributor he bought from the Philip Ndegwa family. Talking about his political views, Mr Paul Ndung’u said he is a businessman and not a politician and it’s sad when legitimate business is caught up in a political circus. But he sure has links with rich politicians which he said has never helped him to nail lucrative business deals. Recently one of his firm’s Life Care Medics was claimed to have been paid KSh 201 million by the Ministry of Health to make deliveries. Whether by design or sheer luck, Mr Ndung’u’s fortunes has enabled him to cultivate a circle of powerful and high-profile friends, including the family of retired President Mwai Kibaki and the current president Uhuru Kenyatta. Finally, his out-of-the-box thinking has helped him to scale through in the labour market, thereby making his businesses lucrative and successful.